Unlike the dinosaurs of the pre-historic age, this dinosaur won't chase things away. Nay! Instead, it'll ATTRACT people to YOU. 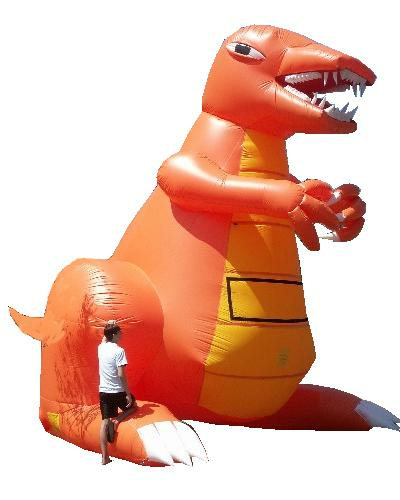 Put this 20' T-Rex on top of your roof and people will see it from a MILE away. Put up if you have a sale, grand opening, new management, or just need some customers. It's perfect for everything!